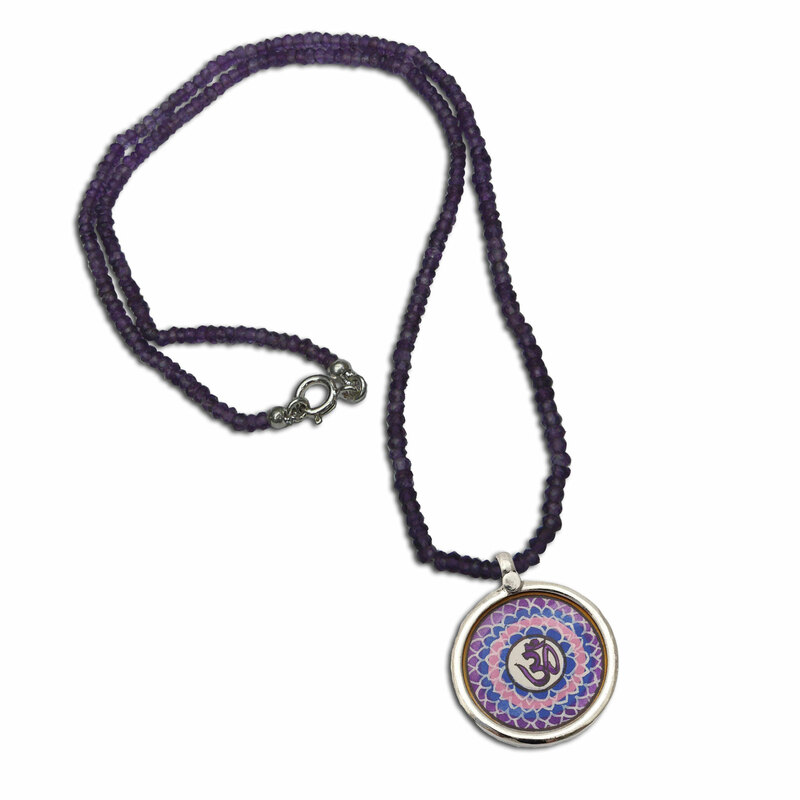 Boost your crown chakra with this 18 inch faceted semiprecious gemstone Amethyst necklace with a 1 inch miniature painting pendant with the symbol for the crown chakra. The painting may vary slightly from the picture as each one is hand painted. The painting is encased in sterling silver and glass. 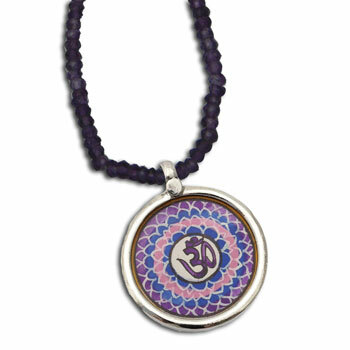 Mantra: Om; Stone: Amethyst; Shape: Half Sphere; Color: Purple.